Roofing is not something many homeowners have knowledge about. Unless you own many homes in your lifetime, chances are you are only going to install one or two roofs on a home. Before you take the plunge and purchase that new roof, you should take the time to ask your roofing company in NJ a few important questions. 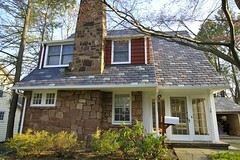 The first question you need to ask the roofing company in NJ is if they will be performing a tear-off or re-roof. 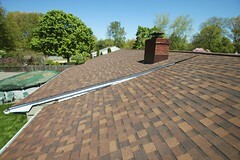 A tear-off is when the contractor removes your entire existing roof and installs a brand new roof. 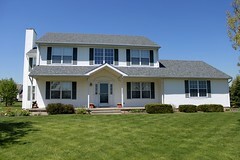 A re-roof is done when you have one layer on your roof that can be covered with the new roof. Certain conditions need to apply for this to occur, including the excellent condition of the existing layer. Understanding exactly which method your roofer is going to use is essential to your satisfaction. 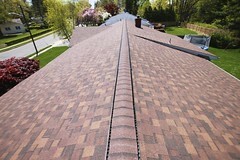 A reputable roofing company in NJ will be upfront with you regarding all costs involved in replacing your roof. Your new roof needs a solid foundation. If the roofer begins the job and finds boards that will not sufficiently hold the roof in place, they will need to be replaced. Depending on the number of boards that need to be replaced, this could become a costly job. Understanding ahead of time exactly what they will charge if boards need to be replaced will help you better prepare for the charges. Even though you have carefully picked out the color and style of shingles you want on your new roof, there are other factors that play into your new roof. The various other supplies the roofer needs will make your roof as strong as possible. Inquire about the type of materials your contractor will use to ensure they meet your expectations and are not a lower quality than you would prefer on your roof. If you take the time to question your roofing company in NJ about the procedures they will use, how they will charge you and the quality of materials they will use, you will have a successful new roof installation. It is worth the extra time it takes to question your roofer, rather than taking a chance and having a poor quality roof installed on your home.